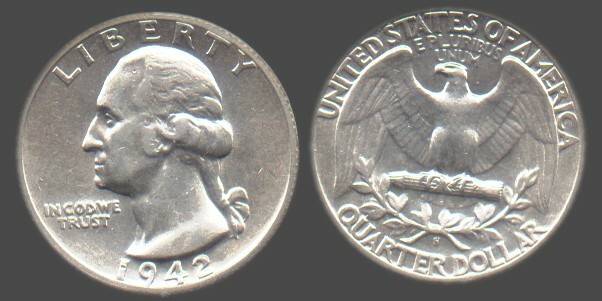 A nice XF/AU 1942S Washington Quarter! 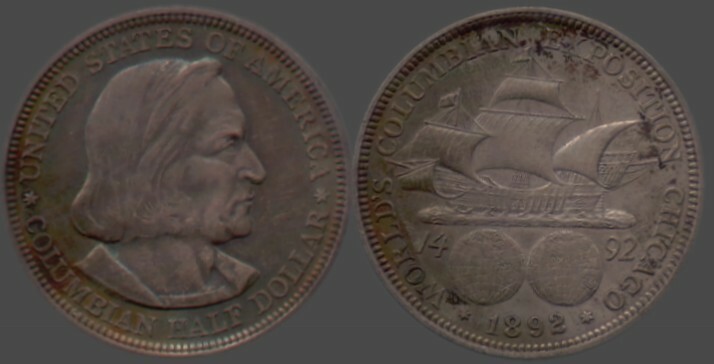 A nice XF/AU 1892 Columbus Half Dollar ! A 1964 silver proof set ! The entries will be judged on beauty, originality, and style. All those who enter will retain all rights to their art work but do agree to let it appear in the WINS Newsletter, and to reside on the editors website for six months. Contest is open to all WINS members but only to WINS members. Your picture must have in it all or at least part of a coin minted for use as money, it may be from any country or time period. This does not exclude either proofs or patterns, but it does exclude medals, tokens and the like. These may appear in your picture, but there must be at least one minted coin or part of a coin in your picture. Your picture must be suitable for all. In other words, no Arkansas 'Clinton' Quarters or things of this nature. You must own the coin or coins that you are using the likeness of in your picture, or have permission from the coin owner to use the likeness. Although I refrain from putting any limits on your project for fear it will take away your options, I do ask that you try to keep your picture size reasonable for display purposes. Please provide a name for your creation that you feel summarizes the picture. The pictures at the url below are some I put together just to give you an idea of some of the possibilities, but are not intended as guidelines that would influence your creativity. All Pictures must be submitted in the JPG format which limits them to single layer but it also makes for a small file size for web transfers. Your entries will be judged by three of your fellow members who will be named at the end of the contest unless they wish to remain anonymous. Those judges and myself will not have entries in the contest. To give all time to get their creation completed entries will not be accepted for one month from this announcement and then entries will be accepted for one month's time. I hope the small prizes are the least the winners get out of this contest. It can be both a lot of fun, and it is sure to better acquaint you with your graphics program. I will be using this url to give an idea as to some of the possibilities. These are not entries but some I put together. They are not meant to influence the type or subject or in any way stifle your creativity, so have fun and let's see what magnificent pictures emerge !